Mads Nipper, CEO of Grundfos. Half year 2018 net turnover of DKK12.8 billion was up 5.1% on 2017’s DKK12.2 billion. 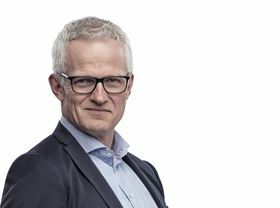 However Grundfos delivered lower earnings for the first half of 2018, with earnings before interest and tax (EBIT) of DKK964 million versus DKK1085 million a year earlier. Grundfos says this was due to the company’s increased commercial pressure to drive market share combined with increasing commodity prices and currency fluctuations. China, USA, UK and Germany are among the countries driving solid growth, but almost all markets developed positively for Grundfos. Strong growth in the global Service Business also contributed to the company’s overall performance. “I am also pleased to see that our significant unit growth accelerates our positive energy efficiency impact – and thus making major contributions to address the SDG13 challenges - UN’s Sustainable Development Goal regarding climate change,” added Nipper.